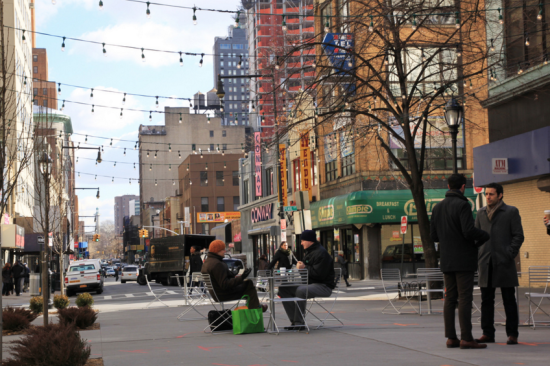 On its tenth anniversary, the local nonprofit development corporation Downtown Brooklyn Partnership has released a report that details just how well the development of downtown Brooklyn is going. 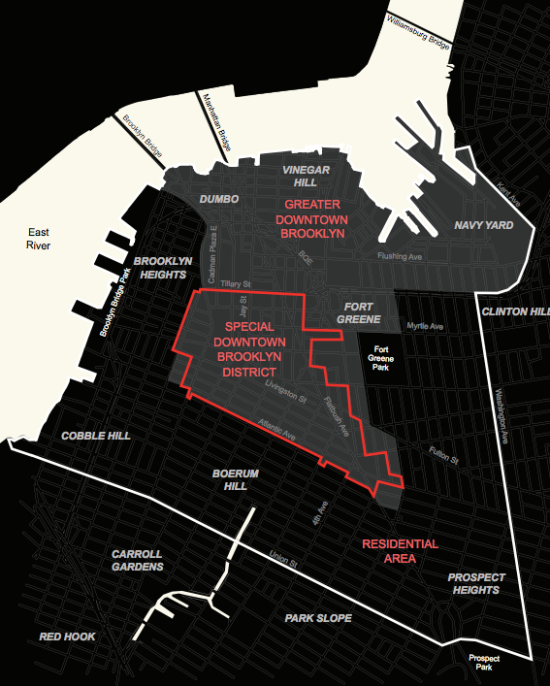 Downtown Rising: How Brooklyn became a model for urban development demonstrates how, since its 2004 rezoning, private investors have put more than $10 billion into Downtown Brooklyn. The report was commissioned by the Downtown Brooklyn Partnership and produced by the Rudin Center for Transportation Policy at NYU. At a panel hosted at NYU and moderated by Professor of Urban Policy and Planning Mitchell L. Moss last week, Reed, Joe Chan (executive vice president, Empire State Development Corporation), Regina Myer (president, Brooklyn Bridge Park), and Hugh O’Neill (president of economic consulting firm Appleseed) discussed the report and next steps for downtown Brooklyn. 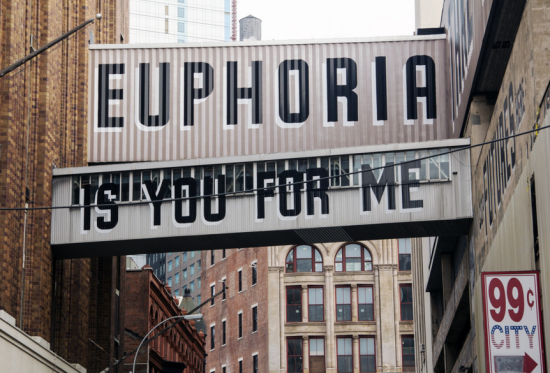 Since the creation of a central business district in the Group of 35 report, Downtown Brooklyn has transformed itself into a tech hub, a center of arts and culture, a nexus of higher education. Between 2000 and 2013, the district’s population grew by 17 percent. The number of residents with a bachelor’s degree nearly doubled, and median household income grew by 22 percent. Reed mentioned that, as part of its community development goals, the Partnership “is working on workforce development” to close a skills and opportunity gap among residents without a college degree.